Installing new siding is a very popular home improvement project that can add value, but many homeowners face the challenge of finding the right siding material for their home. 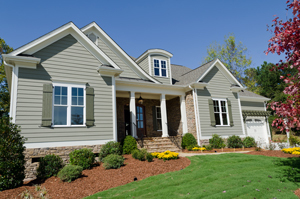 Fiber cement siding is an increasingly common choice because of the many benefits it offers. Sorensen Roofing & Exteriors, G.C. installs high-quality fiber cement siding in Colorado and Wyoming, and we can give you the perfect upgrade for your home. Our experienced professionals will help you find the perfect style for the look you want to achieve and provide you with an expert installation that will last for years to come. If you want to learn more about the benefits of fiber cement siding, call us today at 1-844-207-0202 or contact us online. We offer free estimates on all our work in Greeley, Arvada, Littleton, Denver, Colorado Springs, Aurora, and the entire Front Range. Fiber cement siding can replicate the appearance of other materials while providing impressive longevity. Versatility: Perhaps the best part of fiber cement siding is the fact that it can be made to replicate other materials, including wood and shingles, allowing for a unique look for your home. Design Options: Fiber cement can easily be painted any color you desire, often before installation. Though it will need to be repainted eventually, this gives you the ability to easily choose a custom design. Affordability: Fiber cement siding is the perfect middle ground of affordability and durability, giving you a long-lasting option without breaking the bank. If you’re interested in improving your home’s siding, fiber cement siding from Sorensen Roofing & Exteriors is the perfect solution. 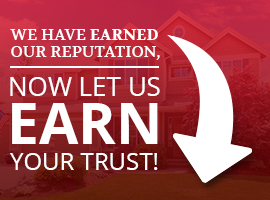 As your local siding installation professionals, we will work with you to find the perfect style and design for your home and give you a quality installation. Call us today to get started with a free estimate in Greeley, Arvada, Littleton, Denver, Colorado Springs, Aurora, Longmont, Englewood, Broomfield, Fort Collins, Boulder and throughout the surrounding areas.